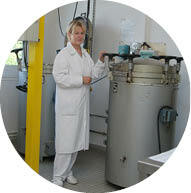 We offer probiotic strains and blends or custom formulations produced to the highest quality standards. 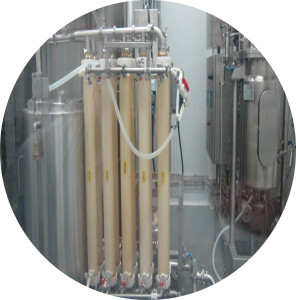 Bacteria production involves unique and complex processes requiring substantial and continuous R&D to fine-tune fermentation, lyophilization, and downstream processing. Moreover, packaging conditions and materials need to be adapted to each strain and formula for best shelf life results possible. 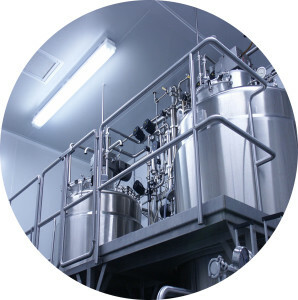 In order to produce live and viable probiotics of the highest quality standards, our facilities are GMP inspected and certified with quality control processes applied throughout the entire manufacturing campaign. Our QA systems, ensure the quality, efficiency, and safety of our probiotic cultures and products while complying with the regulatory standards imposed for natural health products. partnership against terrorism accredited), CHFA (Canadian Health food Association), AMiqs, FAMiqs, IFS, ISO 9001, NOP Organic certification, as well as GRAS and Halal status for certain strains. Lallemand Health Solutions continuously invests in human and material resources, to ensure a full flexibility response to face the growing market requests, keeping in mind quality constraints. 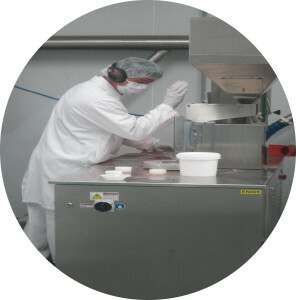 Thanks to its knowledge of the process and its long-term manufacturing experience, Lallemand Health Solutions distances itself from the limited circle of bacteria manufacturers in providing an integrated offer of probiotic strains and blends or custom formulations combining probiotic bacteria and yeast produced to the highest quality standard. It all starts with a few bacteria from the cell bank. Vials are kept at -80°C to guarantee genetic stability during long periods. 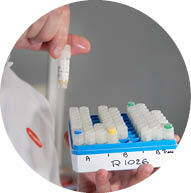 Cell bank vials are thawed and several quality controls processes are conducted in order to ensure that the strains are free of any contaminants and their genetic. A strain specific culture medium rich in nutrients is prepared under sterile conditions. The inoculum is gradually introduced in the adapted culture medium: the bacteria becomes activated and start to multiply. Once the quality and purity of the inoculum is checked, it is transferred under sterile conditions to a pre-fermentor, where growth conditions are continuously monitored (pH, temperature, pressure…). The culture is then transferred to industrial fermentor. Live bacteria are then separated from the culture medium by centrifugation or ultra-filtration: around 75% of water is removed at this stage, resulting in 50-100 times concentration of the live bacteria. The bacteria are then mixed with an adapted cryprotective formula, to help them survive the freeze-drying process. 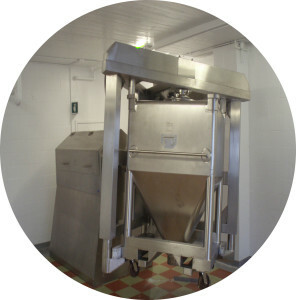 During freeze-drying, bacteria are exposed to a very low temperature and the remaining water is eliminated by sublimation (passage from solid to gaseous phase without liquid intermediary) under low pressure. Bacteria form a solid “cake”, containing 2-4% water. The solid cake is milled to obtain a fine, homogeneous powder. Each grain of powder may contain 1 billion of bacteria. This powder can be either delivered as bulk bacteria culture or further blended, in order to obtain the desired formulation. 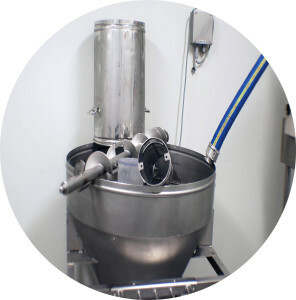 Bacteria powders can be blended together with other ingredients, as well as carriers and diluents to obtain the desired bacteria concentration, under strict control of humidity and temperature. Packaging is a critical point in bacteria survival. 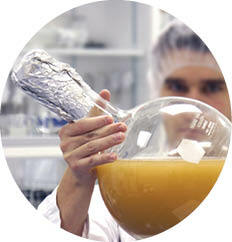 To ensure proper survival of the bacteria during the complete shelf-life of the finished products, Lallemand Health Solutions has developed a strong expertise in cost-effective packaging and can deliver all formulations under bulk powder, capsules, blisters, sachets, sticks, tablets, drops, orodispersible powders or bottles.